I was out dancing tango on a Sunday night with a small group of friends at the Agave Tequila Bar on Main Street in Ann Arbor, Michigan. Then I got the call. Bittersweet love tunes filling the room where we danced, I didn’t hear my cell phone ringing. It was only when I sat down to rest between tunes that I noticed three lost calls. I didn’t recognize the number and assumed it was spam, so I continued dancing. I was born in Cuba and I am devoted to Cuban rueda de casino dancing. But several years ago I was introduced to the tango – actually while in Cuba – and fell in love with the music and the dance. I’ve visited Buenos Aires several times, immersing myself in the world of tango. At last, at 61, I can pirouette with surprising ease on four-inch stilettos. The tango is one of my favorite ways to exercise and meditate; it’s my yoga. When I sat down again, I saw a call coming in from the same number. I figured I might as well answer it. It was difficult to hear. I moved to a far corner of the room, but the tango was everywhere. I heard hands clapping in the background. To add to the joy of the moment, the person giving me the news was Alicia Long, Chair of the Pura Belpré Award Selection Committee. “I am from Buenos Aires,” she said. “I am from the land of tango.” She was delighted I was dancing to the music of her native land. “Thank you! Gracias! No lo puedo creer. Wow!” I said in my best Spanglish. Tangos are melancholy, but I danced my happiness as best I could. I kept dancing, all the way through to La Cumparsita, “the little carnival song,” which is the traditional last song of every tango party or milonga. But at home later that evening, I began to doubt the phone call had occurred. From all the music, all the spinning, I wasn’t sure if it had been a dream. It wasn’t until the next morning, when my husband and I watched the official announcement streamed on Facebook, that I was convinced the call had been real. The Pura Belpré Award was the one prize I’d longed for, but didn’t dare to hope I’d ever receive. It honors the memory of the first Latina librarian at the New York Public Library. Pura Belpré came from Puerto Rico for her sister’s wedding and decided to stay. She lived in Harlem and wrote children’s books in Spanish and began leading bilingual story hours in the 1930s, empowering Latinos to take pride in their culture and their multifaceted identities. Belpré was a visionary who welcomed all children to the world of books and libraries. 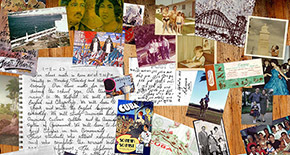 Lucky Broken Girl is based on a difficult experience from my own childhood. I was confined to a body cast for a year soon after my family and I arrived as refugees from Cuba to New York. In turning my story into fiction, I tried to turn this experience into something positive by showing how ten-year-old Ruthie discovers hope and luck in the midst of her brokenness through inspiration from books and art and the kindness of family and friends. 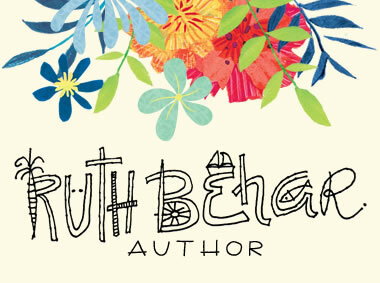 After recovering from her injury, Ruthie, once the Hopscotch Queen of Queens, becomes a different girl who prefers to spend her free time getting books from the library. This was true of me and I thank Pura Belpré for all she did to create a home for Spanish-speaking children like myself in the libraries of New York. I remember vividly that learning to walk again after coming out of the cast was excruciating. My family feared I’d remain bedridden. Ruthie likewise worries she won’t ever regain the confidence to return to the world. It is her neighbor, Chicho, an artist-engineer from Mexico, who guides her through a gentle tango dance which lights the spark she needs to find her way back to feeling secure in her body. I am a strong believer in serendipity. Dancing tango while learning of the Pura Belpré Award was magical realism at its best. Thank you to the Pura Belpré committee members for calling me on a night I was dancing tango. I will never forget it. 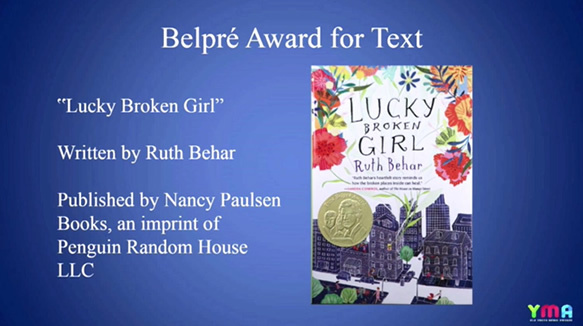 The Pura Belpré Award is my first book award. 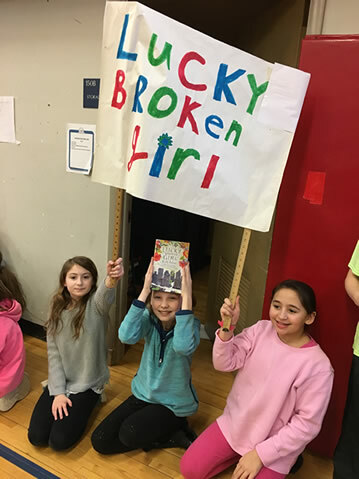 Writing Lucky Broken Girl, my debut novel and first book for young readers, which I am so proud to have published with Nancy Paulsen Books, an imprint of Penguin Random House, is a dream come true. Maybe my experience will offer hope to other writers. It’s never too late to start writing your story and giving voice to the child that lives inside, the child waiting patiently to be heard and healed. 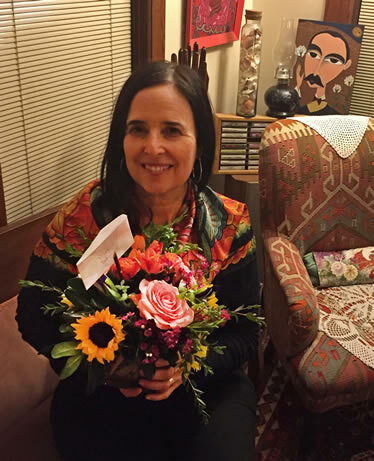 Juana Martinez-Neal, Pura Belpré Illustrator Award Winner for La Princesa and the Pea (written by Susan Middleton Elya). Pura Belpré Author Honor for The Epic Fall of Arturo Zamora (written by Pablo Cartaya). Pura Belpré Author Honor for The First Rule of Punk (written by Celia C. Pérez). Adriana M. García, Pura Belpré Illustrator Honor for All Around Us (written by Xelena Gonzalez). John Parra, Pura Belpré Illustrator Honor for Frida Kahlo and Her Animalitos (written by Monica Brown).